Fashioning Little Miss Lonesome –– Now On Sale! 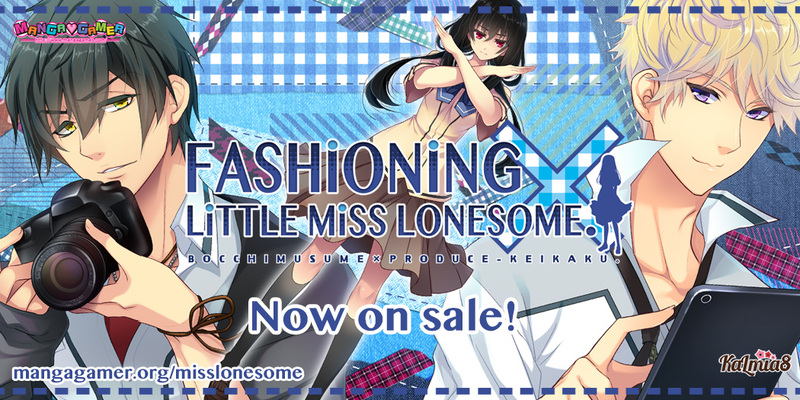 Our first adult otome game, Fashioning Little Miss Lonesome, from Kalmia8 is now on sale! Pick it up right now or grab it later today on Steam. If you’re planning to pick it up on Steam, you can grab the adult patch right now. Tagged bocchimusume, fashioning little miss lonesome, kalmia8, otome.